Page O Links with great content on Al. Some of these sites have helped me with inspiration for this website, and possibly I have gotten a few pictures from some of these too. Kathy Kovin-Pacino's Page, an awesome talent and great person as well! Check it out. Sal Pacino's page, great site with lots of content. Go look! Alto Celeb's Al Page full of cool links and games too! 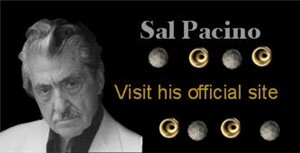 Sal Pacino's page (Al's Dad). It is a very nice site, so go look at it! Katherin Kovin Pacino's page She is a very cool person! Good page -- well organized!